Hot off the heels of being included in my ‘best frequent flyer program redemptions’ list, Malaysia Airlines Enrich program is again trying to generate incremental bookings by offering their self-proclaimed ‘Best Enrich Redemption Offer of the Year’ with (up to) a 50% discount on Enrich redemptions on many routes for bookings made between now and 15th October. In addition, American Express and Malaysia Airlines are also offering a 15% bonus on Enrich transfers from Membership Rewards to Enrich between now and October 8th. The redemption offer isn’t as great as it could be at first glance. There are some notable cities missing from the discount list – London, Sydney, Melbourne and Brisbane being those that strike me as being the most painful. Perth is running at 40% off, Adelaide at 50% off, and Frankfurt, Istanbul and Paris are all at 30% off. The redemption discount is also actually applied to the pre-online discount rate of 15%, so a 50% off redemption is actually more like 35% off. Having said that, it’s still a great deal. The discount applies for bookings made up to October 15th, for travel up to December 15th. The American Express 15% bonus terms also state that “Bonus Enrich Miles may take up to 14 days to transfer into your Enrich account.” So there’s no guarantee the bonus miles would hit your account in time for the redemption discount promotion ending, but if you get in there today or tomorrow, you’d have a very strong chance. Flystaytravel points out that the redemption discount is only applied on single leg (or simple return) itineraries – so connecting in KL onto Europe would require two bookings in order to get the discount. If you can make it work, I’d use this as an opportunity to book in First Class on the way to Europe though, which isn’t usually possible without breaking your itinerary. Given you have to break it anyway to take advantage of the discount, you might as well get into First as well (which is offered on their A380 services between London and Paris to Kuala Lumpur). The full list of discounts and destinations is here – and unfortunately it’s a bit tricky to read. How helpful! The 15% amex transfer bonys seems to have been extended to 31sr Oct.
Keith, you provide a great service, thanks. Is there a way to use points accumulated on Qantas Frequent Flyer on Malaysia Airlines? Can QF points be transferred somehow? Unfortunately no transfer options between airline programs. But you can use your Qantas points on Malaysia, but at Qantas pricing. Keith, I too don’t see the value in this promotion. It normally costs 102,000 points for a return business class Aus to Europe with Enrich. With this promotion as Tristan said it will cost 125,000 points as you have to book the legs separately. Is that not right? I think you’re right – ultimately it seems as if it depends on whether you are looking at a fare to/from a city included with a discount. Splitting those which aren’t and you seem to come out worse. So simple! 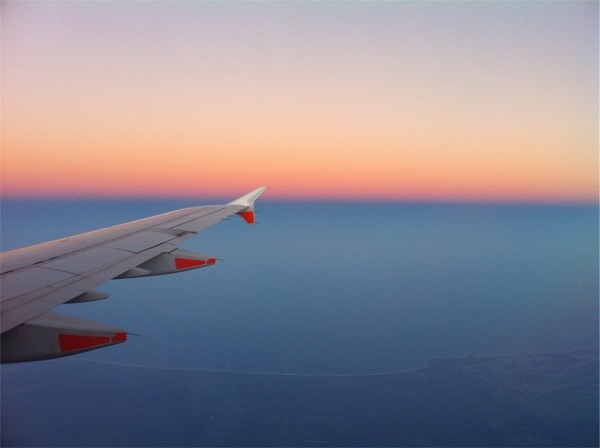 This deal only seems worth it for simple flights – for booking right through to europe are you not better off just booking straight through rather than splitting your booking? Booking straight though comes in at 102k points. It looks like availability on the dates you’re looking isn’t there for the lower priced awards, it’s standard pricing instead. Lower pricing is 52k points one way Business Class from SYD to LHR or CDG for example. Sorry, saw you are looking at return pricing. In this case it does look like it’s pricing the discount correctly then, which is great, makes life easier. Is the deal until mid Oct or Dec? The title says mid Dec but in the post it says mid Oct. Anyway, doesn’t affect me as BNE is excluded. Also with first class redemption, I find it is way too expensive even with discounts. For example, with the current promotion, KUL – CDG first class will still cost you 112K miles one way, which is about the same as SYD – CDG/LHR in SQ suites. Add on top the extra miles needed to get to KUL from AUS, it is way cheaper to fly SQ. So unless you really really want to experience MH first class over SQ suites, (Or unless you already have tons of Enrich miles) I can’t see any logic in redeeming first class, considering that most credit card’s transfer rate is the same for KF and Enrich.